Looking for a router that can connect to Unlocator and allow you use on your Apple Tv outside the US? Is your ISP slowing down torrent or VOIP traffic? Whatever your reasons might be this is the router for you. See what Sabai Technology has done is nothing more than genius. They have taken the already super fast Linksys E3000 and made it even more powerful by loading it with the DD-WRT Mega custom firmware. 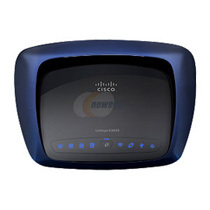 This allows the router to connect directly to Strong VPN and thereby allowing all your connected devices to run trough the VPN tunnel. In practice this means that you will no longer be blocked from using US only services when abroad and best of all you can now connect to VPN from devices that previously could not such as the Apple TV, Xbox 360, Playstation 3 and Wii. The list goes on and on. 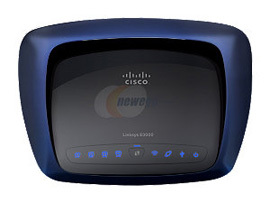 The router is much like the E2000 that we have reviewed earlier but with double the RAM this router is screaming fast as it can process the VPN connection much faster allowing you to achieve speeds you would not think possible. As mentioned the Linksys E3000 has plenty of RAM and in fact it has enough to run the most powerful version the so called DD-WRT Mega. On top of that the USB 2.0 ports allow you to connect shared storage to the router for local area access. Connects to StrongVPN, allowing you to create a VPN connection to any of 63 servers in 10 countries. Allows you to share the VPN connection will all devices connected to the router. The router has wireless N at speeds up to 300 mbps. Process the VPN traffic incredibly fast. The best way to connect multiple computers to one VPN account. Screaming fast 480 mHz CPU speed. Fully installed with the Brainslayer Mega version of dd-wrt software. So with double the power of the E2000 and great reviews I can’t see no reason not to get this router. The price is just $179.95 and they even do day-to-day shipping. Go check it out over at Sabai Technology.